UAF graduate student Amy Kirkham will begin a Knauss Marine Policy Fellowship in 2019. Amy Kirkham, a University of Alaska Fairbanks doctoral student, will start a Knauss Marine Policy Fellowship in Washington, D.C. next year. The prestigious fellowship is administered by Sea Grant, a partnership between the National Oceanic and Atmospheric Administration (NOAA) and universities in 33 states and U.S. territories. Alaska Sea Grant nominated Kirkhan for the fellowship. Kirkham earned a bachelor’s degree with honors from Stanford University where she studied marine biology. After beginning as a master’s student in biological sciences at the University of Alaska Anchorage, Kirkham transferred programs and is currently completing her PhD in fisheries at the University of Alaska Fairbanks where she is focusing on Weddell seals. “Amy’s commitment to excellence is clearly evident through her academic work, her strong interest in ocean resources and communities, and her rich and diverse skillset. I’m confident that she will contribute greatly to whatever office she is placed in during her fellowship in our nation’s capital,” said Ginny Eckert, interim director of Alaska Sea Grant. Kirkham grew up in Larchmont, New York, on the shores of Long Island Sound. “I’ve always been fascinated by the ocean and all that lives in it. As a rower in college, I started most mornings venturing into San Francisco Bay with the company of seals and pelicans,” Kirkham said. While at Stanford, Kirkham became a scientific diver as part of her studies of kelp forests. She has worked as a naturalist and marine mammal research assistant in Maine, communicating ocean science to tourists. Kirkham traveled to Antarctica seven times over four years to study the seals for her research. She also spent time in the Pribilof Islands during graduate school. These experiences have provided Kirkham with insight into polar issues that will make her unique among Knauss fellows. Kirkham will travel to Washington, D.C., this fall to meet with perspective host offices in the executive or legislative branches of government. She will begin her fellowship in February 2019. “I’m thrilled to have this opportunity! I’ve heard what an incredible experience the Knauss fellowship is, and I’m excited to ‘drink from the firehose’ and learn all I can while supporting Sea Grant’s mission,” Kirkham said. For many Knauss recipients, the fellowship is a life-changing experience that opens new career opportunities in marine policy and resources. Named after one of Sea Grant’s founders and former NOAA administrator, John A. Knauss, the one-year, paid fellowship matches highly qualified graduate students with hosts in D.C. Recent Knauss fellows from Alaska have worked in the office of U.S. Senator Lisa Murkowski, at NOAA’s Office of Legislative and Intergovernmental Affairs and on the Committee on Transportation and Infrastructure. “While I don’t know yet whether I’ll be working as a legislative or executive fellow, I hope to work in a role where I can learn firsthand about how legislation is created and implemented,” Kirkham said. 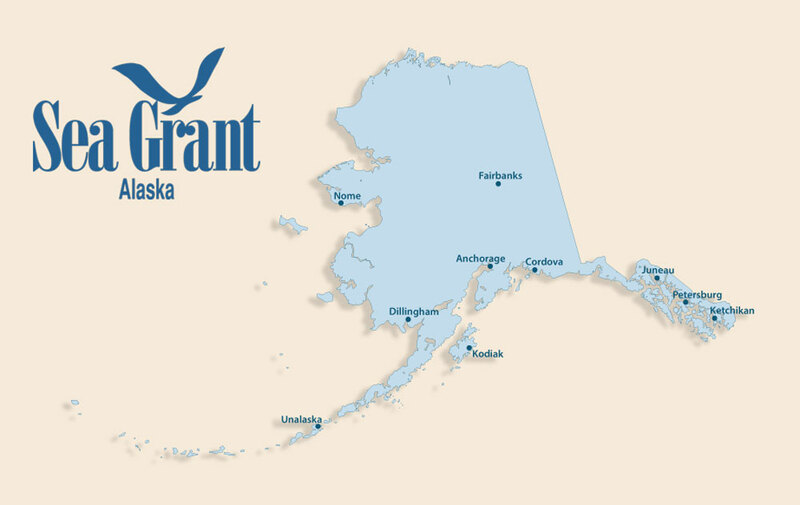 More information about the Knauss fellowship is available on Alaska Sea Grant’s website.